Here are a few JDBC Interview Questions for you! 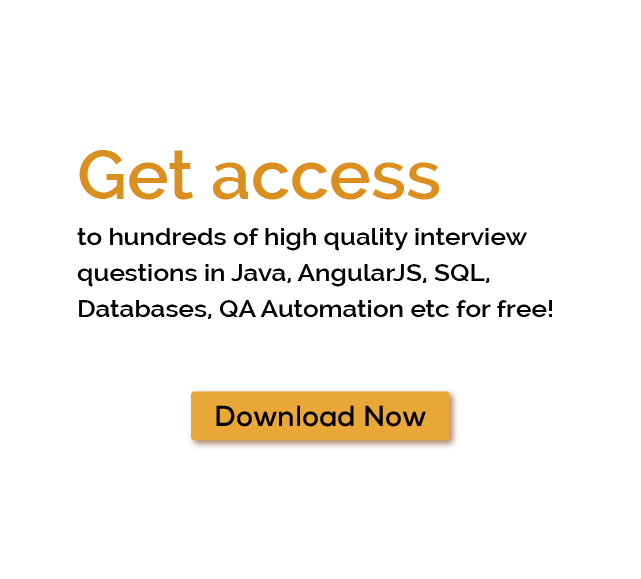 Download more High Quality JDBC Interview Questions! Java Database Connectivity (JDBC) is an application programming interface (API) for the programming language Java, which defines how a client may access a database. It is Java based data access technology and used for Java database connectivity.It provides methods to query and update data in a database, and is oriented towards relational databases. A JDBC-to-ODBC bridge enables connections to any ODBC-accessible data source in the Java virtual machine (JVM) host environment. For thousands of similar JDBC Interview Questions login to our Website or download EduThrill. Experience the thrill of challenging people around the world on JDBC Interview Questions!